On our last camping trip to Moab, we wanted so badly to take camp chairs with us but we didn’t have room for the large, cumbersome, chairs that were popular 13 years ago. 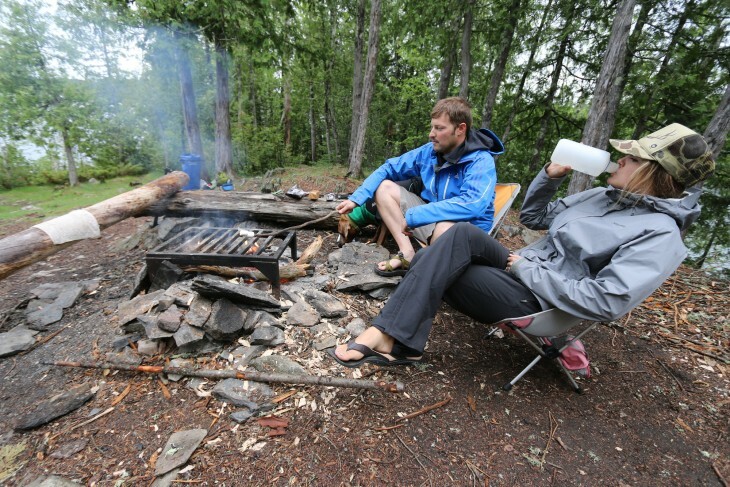 We settled for not taking any, in hopes that we would find some good logs and rocks to use as seats instead. Luckily for us, most of the campsites within close range to Moab are fairly developed and our nice spot along the river even included a picnic table. 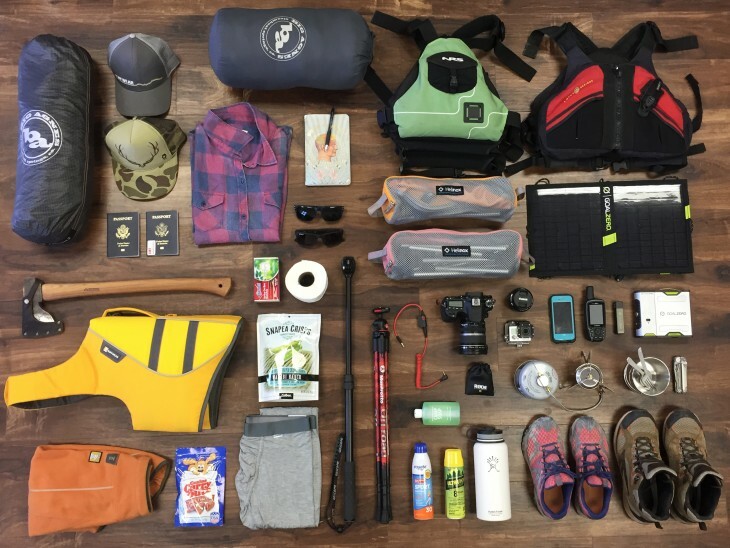 On the same trip, we visited Moab’s local gear shop several times where finally we were introduced to these new, small, lightweight camp chairs that looked like a must have. They looked extremely comfortable and could definitely fit into our over-packed car. 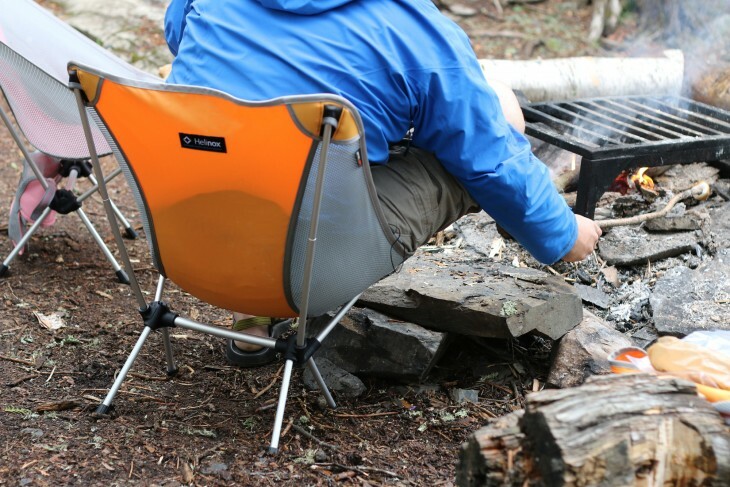 We did a little research and found that coming in at just less than two pounds, the Chair Elite by Helinox would fit our lifestyles and fit in our backpacks. Call us high maintenance, but we knew the Chair Elite would be way more fun to sit around the campfire on then something like a log or rock. The chair breaks down easily because of the single shock corded pole structure, similar to tent poles, and can be set up with almost one hand. The poles stay connected while the fabric seat comes off to be folded easily into the carrying case. The chair has two mesh panels on the back and sides to allow for optimal breathability. It’s a surprisingly comfortable seat and will make you want to just sleep next to the fire. The load capacity is 320 pounds, so not a lot to worry about there (which is kind of crazy, you’ll look at the chair and wonder how it’s even going to hold you… but it will!). 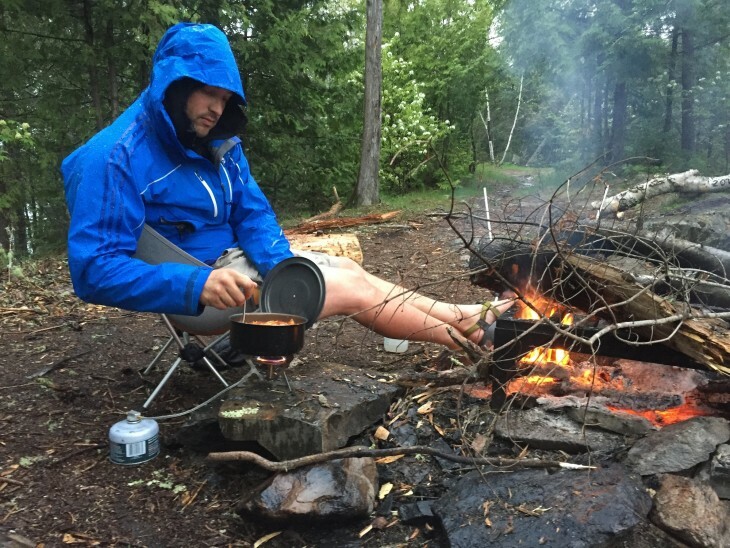 If you’re looking for a lightweight, comfortable, and easy to use camp chair, you have to check out Helinox. 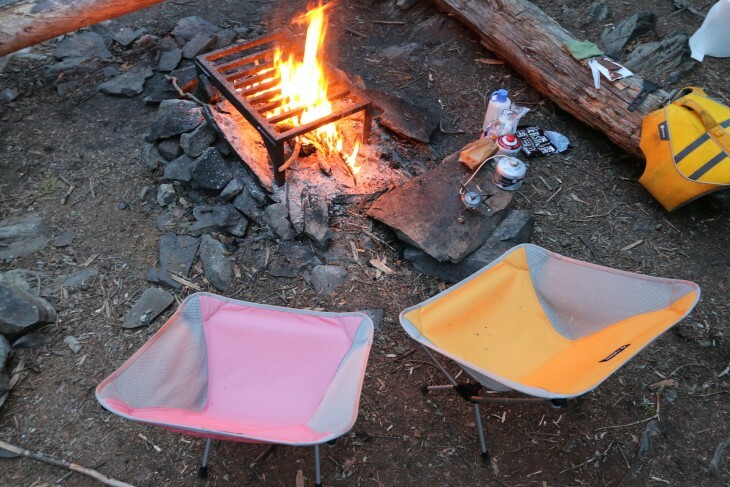 This chair will be with you on any adventure during any season! They also have different colors so they are easy to distinguish if you have many in the family. Helinox also makes several different designs so be sure to check them out and see what will work best for you. *Check out Helinox’s “Ball Feet” if you’re having sinkage problems in your Helinox Chair.